). The computer boots normally, but it is abnormally slow/sluggish, and after running video games I get various blue screens ( they have all been different). Clearly something is wrong with the installation I did. I have done all the research on it and can't find a solution. 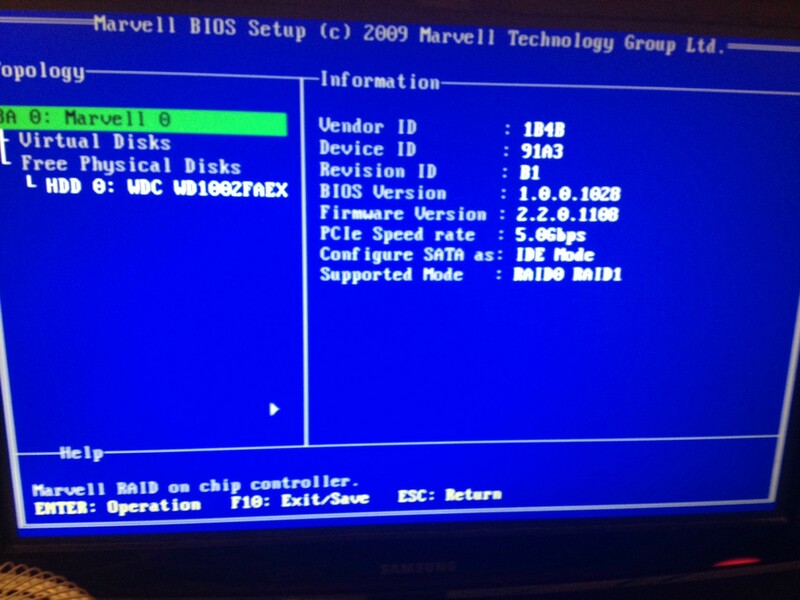 The strange thing to is when I go into my bios i get absolutely no options (see attached photo). In summary the computer is running, but everything seems slow. I run stress tests and they test normally. I just get blue screens when I think it gets REALLY stressed (playing high quality video games). When I first installed it, it also was getting random blue screens and such. Anyone have any ideas for me to try, for I am sure out of them! My other idea to clarify that it was indeed the cooling system, was to unplug it, and see how the computer acts then, but was nervous about trying this. I don't have any other fans around to try. Did u had any BSOD's before installing this cooler? Nope, but the computer would shut off when it got too hot, which is why we decided to replace it. The temp's were reading in the high 30's, low 40's after we installed the new cooler, so I believe it is working, but something strange is going on. Thx for the reply! from the heat and/or overheating. Can u try another one? The PSU in my other computer is not powerful enough so I can't try that one. Is there any other way to see if I can tell if that is indeed the problem? 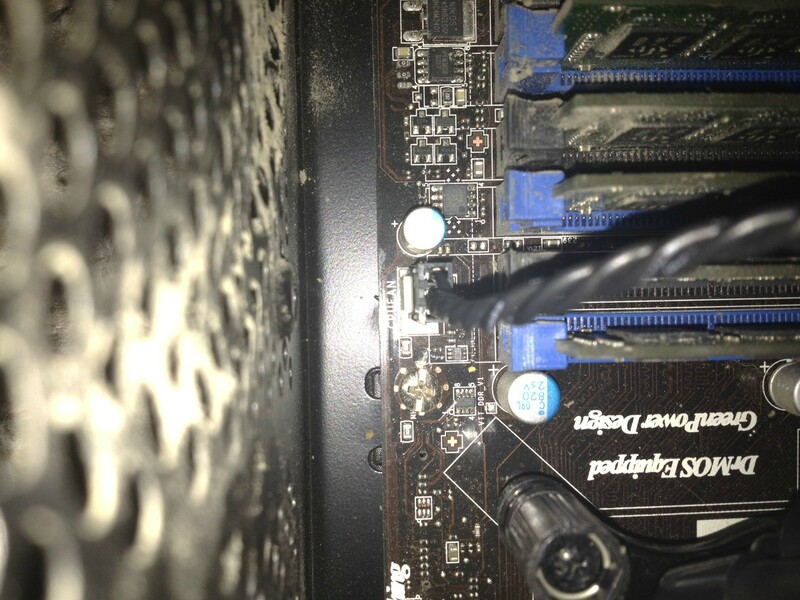 Can I try unplugging the liquid cooling system power cord from the Mobo and seeing if the computer runs normal? Or is that too dangerous? BFG, the PSU says max output 450W, and max combined wattage 304W. Its fine, u can use it, it for test load just fine. It is capable to give 540W. Its actually well rated PSU. What do you think about doing the tests on this site first: http://support.amd.com/us/kbarticles/Pages/powersupplysysteminstability.aspx . I really would like to avoid unhooking everything if necessary. Also, is it ok that I have that 3 prong plug from Antech cooler plugged into my 4 prong CPU fan port? I'm running windows mem test, and it said hardware problems were detected immediately, so i'm going to try testing each stick individually. I have 24gb (6x4) Adata DDr3 1333. I pulled 4 sticks and am running the test with 2 and have had no issues so far. Something like this happened before, and pulling all of the sticks out and running the test on one at a time seem'd to some how magically fix everything, so fingers crossed. I'm getting very strange behavior. I plugged a stick in, it failed, moved on, then added it in later with confirmed working sticks and now its working. Could this be power supply related? This also happened to me before. Yes it could be. Try the other PSU and see. I could get the test to past with 5 of 6 sticks. No crashing since I took the bad stick out. Played the game for awhile and let the GPU get nice and stressed, no issues. Could have just been that stick went bad then the CPU was overheating. If it starts crashing again, I am going to then replace the power supply because I can't imagine what else it could be. PSU or RAM. Hopefully not both. When the PSU is bad, the RAM does not work properly too, in most cases. Best answer selected by sakrei. 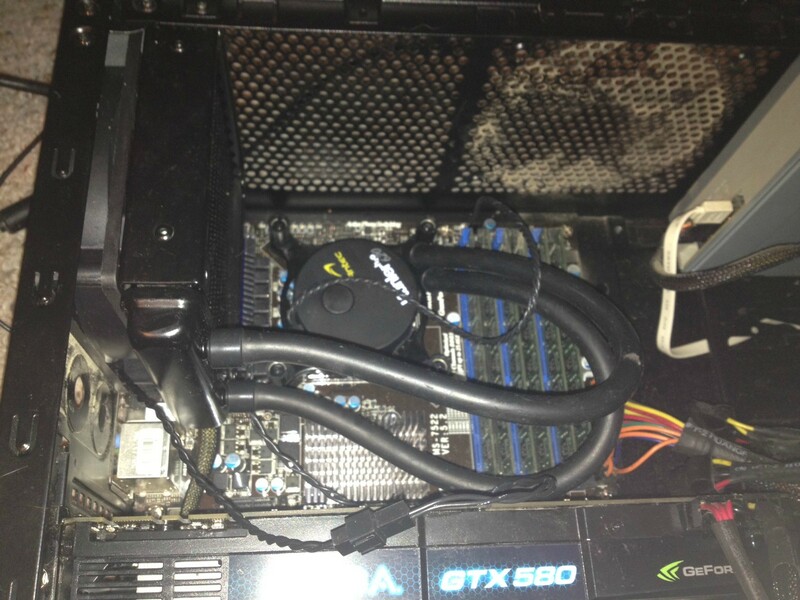 Should that fan be pushing air from inside the case through the radiator and out the case?? Question Can Galvanic Corrosion be Prevented in an AIO Liquid Cooler? CPU cooler. Liquid AIO or Air cooler.